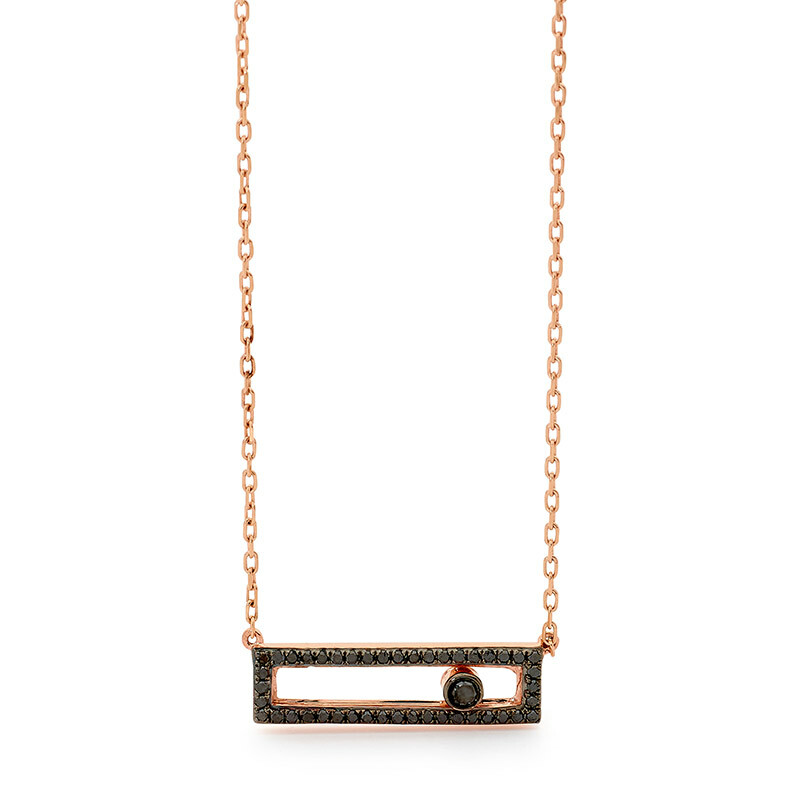 This delightful 9 carat rose gold necklace is crafted with pave set black diamonds around a rectangle, where a single brilliant cut diamond playfully moving side to side. Mixed links chain makes this piece truly unique and it easily matches with other collectable items from Highlands. 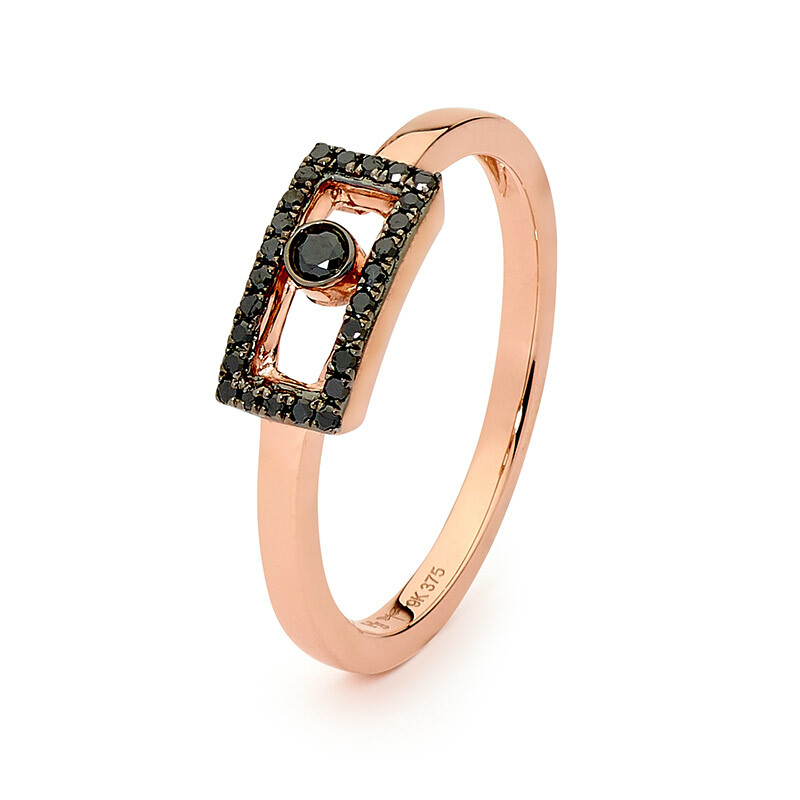 It comes complete with a quality 45 cm 9 carat rose gold chain.